FindItMore | Imagine having to feel all emotions at once, being mad about something then having to cry over it in less than a millisecond, the epitome of a roller coaster of emotions. Well, mind you that study shows that seventy percent of the whole woman’s population undergo this roller coaster ride every single month. This condition is called Premenstrual Syndrome or commonly known as PMS. People use the term PMS to explain a woman’s questionable action in a given situation, but at the same time, the same people lack the common knowledge about PMS. 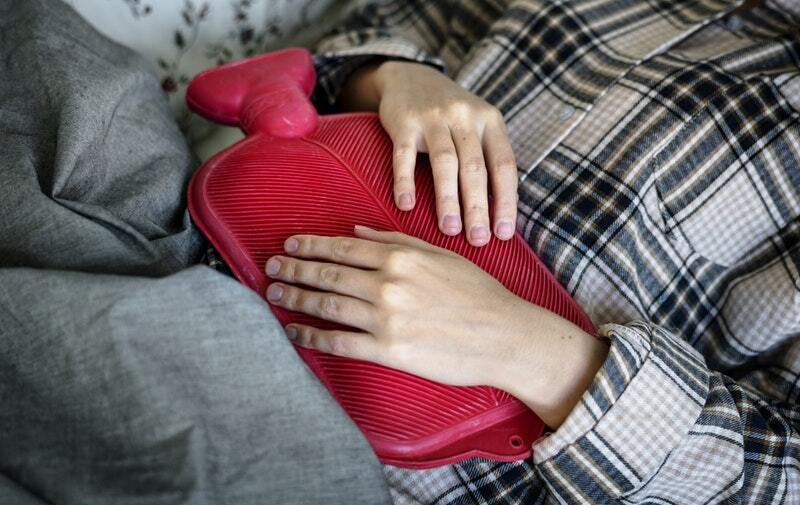 So what is Premenstrual Syndrome or PMS? Premenstrual Syndrome is medically considered as a menstrual disorder. It is a long list of physical and psychological changes or symptoms that are associated with the menstrual cycle, and these conditions vary in each woman. It usually develops and is observed around five to seven days before the first day of a woman’s period. Scientifically, this is explained through the fluctuating level of hormones in the body like estrogen and progesterone that are essential building blocks in the production of brain chemicals like serotonin. These chemicals in the brain strongly affect the mood or the emotion felt by an individual and up to this day there is still no explanation as to why women develop this menstrual disorder. Premenstrual Syndrome affects both the body and the psychological well-being of a woman. Physically, a woman feels fatigue, bloating, constipation, headaches, and clumsiness because of this disorder. On the other hand, psychologically, a woman feels anger, anxiety, mood swings, tension, depression and is unable to concentrate. Symptoms vary from one woman to another; this explains why there isn’t a fixed understanding of the inclusions of its symptoms. Besides the physical and psychological effects, it can also affect the person socially. Having to experience these symptoms in our workplaces might get tough since a woman can either be vulnerable or irritable. Some people might say that using PMS as an excuse for slacking off is unprofessional, but even doctors who specialize in woman’s nature agrees that Premenstrual symptoms can indeed be a hindrance for hardworking women, especially those who experience a tremendous deal of fluctuation in the brain chemicals. How does the World View This Condition? Before the studies and experiments that help us understand more about the woman anatomy, these symptoms are associated with the works of the devil when women are seen as the weaker species. In other places, these symptoms are associated with witchcraft and neurosis which puts women in a rather tricky state to understand their body. Much later during the industrialization era, where women were given more freedom to understand the world, more analysis was made to understand the differences between the two sexes. According to the famous psychologist Carl Jung women is said to be irrational which reflects on the female-side of a male individual, but what if these instances are just because of the unpredictable effects of PMS that a woman undergoes every month and these conditions have been generalized into a gender-discriminatory-theory. In some workplaces, this condition is seen as a weakness, they see it as an inefficiency towards their female employees and thus results in a gender-discriminatory environment. Though situations above depict a negative view about this menstrual disorder, we should not forget about women movements and organizations that help people understand more about this natural happening. The level of discomfort that a woman feels vary from one person to another, so it is best to see your doctor to help you alleviate the distress. Doctors would usually prescribe you medication that will help you with both physical and psychological suffering. The most common medical prescriptions are usually antidepressants to reduce mood symptoms, non-steroidal anti-inflammatory drugs to ease cramping and breast discomfort, diuretics to reduce the swelling and bloating and lastly hormonal contraceptives to stop ovulation. Besides medications, some use home remedies to alleviate the discomfort this includes: modifying their diets by avoiding caffeine and alcohol and choosing to consume food rich in Calcium, incorporating exercise in their daily routine and finding hobbies that may help them reduce stress. The effectiveness of those mentioned above may vary depending on the severity of the symptoms. Hygiene plays an important role in overcoming menstrual disorders. Taking care of yourself is vital to reduce the risks of an infection that can be contracted from the discharge. Always remember to change your pads, tampons or DIVA cup alternatives regularly. Though considered a menstrual disorder, PMS is not considered that of a severe condition as it can be treated with medication and natural remedies. But even with the presence and accessibility of prescription drugs, this menstrual disorder should be observed if considered unnatural, alarming and causes more pain than the usual. It is essential to ask your doctor and seek for their help to understand your condition better. Another point to ponder, our community today is much more supportive and more open in understanding the differences between the two sexes, so it is a better place to be not afraid in asking others for help. PREVIOUS POST Previous post: What is with Americaine Ointment?